I’ve been baking a lot of bread lately and I’ve begun to think about why. 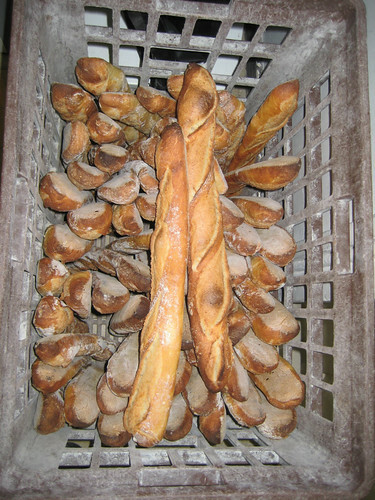 Of course, there’s the immediate aroma and taste of fresh bread. 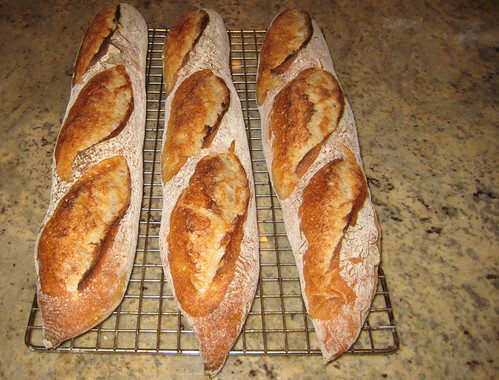 There’s the delight in giving bread to friends and neighbors. And then there is the work itself, tactile and supple and real at a time when we're battered by things we can't control - like the the financial implosion of the economy. At times like this, it's good to be close at home, working with water, flour, yeast and salt and feeding your family. I’ve been baking now for about a decade, with periods where I baked little, or like now, when I bake rather constantly. Working at home, it’s not hard, since the “work” part of bread is rather minimal. For the breads I make, I mix up the dough in the afternoon or evening, and then let it rise slowly through the night, baking off the loaves the next day. This breaks up the work and lets me control the schedule -- which isn’t always the case when you’re working with a living thing. I’ve also wondered how to explore this activity, whether it was right for ChewsWise or another blog, but decided, I’ll just write about it here, so I’m launching a new category, “bread,” to talk about this activity. 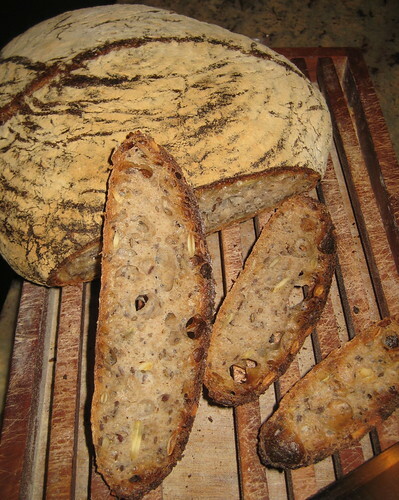 After all, what can be more “sustainable” than making bread. So I’ll start off with a few pictures, and in the future will be posting some recipes and thoughts about techniques for the home baker. I also had the opportunity recently to visit Paris and to work at the elbow of a master baker at boulangerie Arnaud Delmontel (whose baguettes are in the bin on the left). I will be writing about this in a new magazine being launched this summer, Afar, but will expand on it here too before too long. It’s funny, but recently I've been getting more and more requests from people to learn how to bake. In the past few months, I’ve got four people hooked and I don’t think it’s a coincidence. People are looking for something real and solid to sink their hands and teeth into. 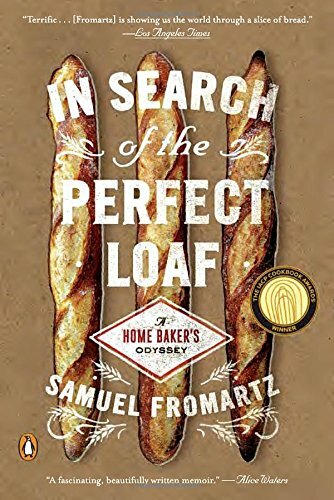 What is better than bread?